The Mission Viejo Animal Services Center is in need of loving foster care families to care for kittens so that they can be cared for until they are ready to be adopted into a forever home. Kittens arrive at the shelter as tiny as just a few days old, needing to be bottle fed, all the way up to 8 weeks old when they just need a place to play and be cuddled until they are big enough to come back to the shelter. Foster caregivers need an extra room in their home that is not in constant use. While tiny kittens need very little space (generally a bathroom is big enough) bigger kittens need to be able to run and play to continue proper kitten development and to make great little pets. The center provides food, dishes, litter pans, beds, a carrier and toys. You supply loving care. Children can help too. 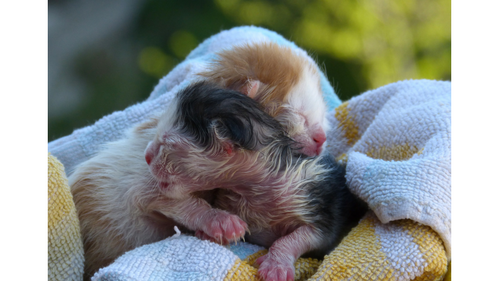 Depending on the age of the children, it is possible for them to earn service hours by helping to care for the kittens. Our shelter has healthy friendly kittens available for adoption, thanks to the many helping hands and willing hearts of those who help us raise these precious babies. If you would like more information about the foster care program, or if you would like to sign up to become a foster caregiver, visit the shelter and complete a foster application.